Professor Dr. L. Maes is assistant professor at the department of Rehabilitation Sciences of the Ghent University. During her PhD, she optimized the vestibular test protocol and gained expertise in the administration and interpretation of these tests. Professor Maes also collaborated with Dr. A. De Kegel for her doctoral thesis, which has resulted in several publications concerning vestibular and motor disorders in hearing-impaired children. She is co-promotor in the doctoral research of Drs. C. Dhondt on vestibular and motor testing in children with a congenital cytomegalovirus infection and promotor in the doctoral research of Drs. S. Martens within the current project. Professor Maes is also assigned as scientific employee at the Ghent University Hospital, where she has implemented her expertise in pediatric vestibular testing as standard of care at the audiology department. Professor Dr. I. Dhooge is a full professor and head of the department of Ear, Nose, Throat (ENT) of the Ghent University Hospital. She is head of the cochlear implant team of UZ Ghent. She is a member of the ‘Wetenschappelijke Adviesraad Ondersteuning Gehoorscreening’, a commission supporting the hearing screening organized by the Flemish agency Kind en Gezin (Child and Family). She is a committee member of the Dutch/Flemish Working Group for Pediatric Otorhinolaryngology and the European Society of Pediatric Otorhinolaryngology (ESPO). Professor Dhooge was (co)promotor of several doctorates in the field of hearing loss and vestibular and motor assessment in the pediatric population (e.g. Dr. A. De Kegel, Drs. C. Dhondt, Drs. S. Martens). 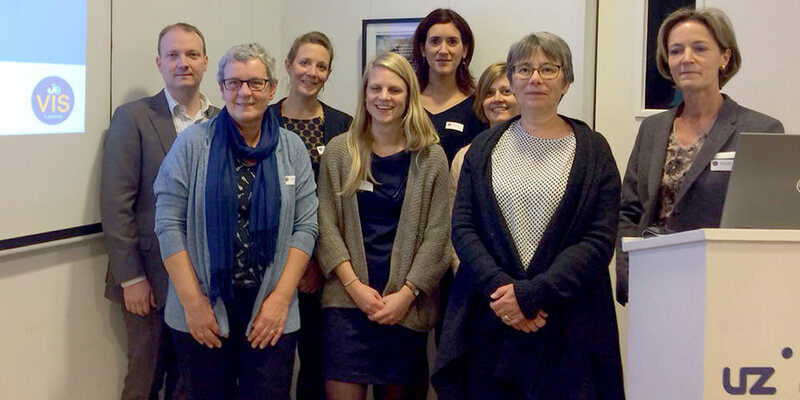 The otology-audiology research group of the Ghent University Hospital has built up expertise in the field of hearing loss diagnostics and treatment, with focus on genetic research of deafness and (re)habilitation of hearing loss, especially in children. 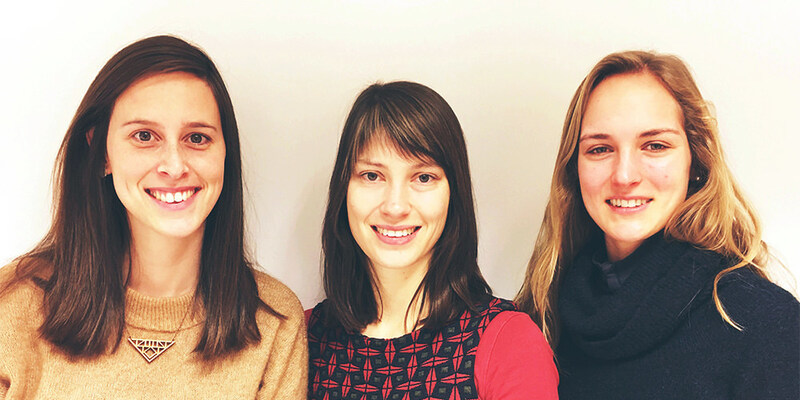 Since November 2017, Sarie Martens started as a PhD student in Audiology at the department of Rehabilitation Sciences of the Ghent University. During her doctoral research, she will provide support in the reference centres of Kind en Gezin (Child and Family) to implement the vestibular screening protocol for hearing-impaired children in Flanders. Previously, she gained experience as caregiver for home based counselling in the Koninklijk Orthopedagogisch Centrum of Antwerp (KOCA) and as clinical audiologist at the department of Ear, Nose, Throat in the Antwerp University Hospital. In 2014, Marieke Sucaet graduated as Master in Rehabilitation Sciences and Physiotherapy, with a major in pediatric rehabilitation. Afterwards, she followed a postgraduate study in pediatric rehabilitation for neurological disorders (Bobath). Her master’s thesis focused on research on the motor development in children with a congenital cytomegalovirus (cCMV) infection, with or without hearing loss. Since November 2017, she started as physiotherapist on this project. She will set up some general guidelines for parents and caregivers to optimize the motor development in children with a vestibular disorder. She combines this assignment with a career as self-employed physiotherapist in the group practice ‘Kinderkiné’ in Kruishoutem. Saartje Vanaudenaerde graduated as Master in Speech and Hearing Sciences (Audiology). Her master’s thesis focused on vestibular function in children with a congenital cytomegalovirus infection. She gained clinical experience in the field of both audiology and vestibulology at the department of Ear, Nose, Throat (ENT) of AZ Damiaan in Ostend. In November 2017, she started as clinical audiologist at the Ghent University Hospital. 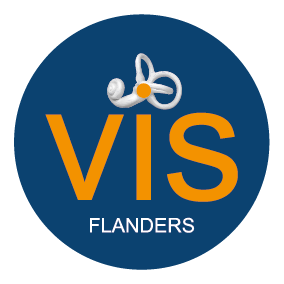 Within the project of VIS-Flanders, she will assist with the pediatric vestibular examinations. Additionally, she will take care of audiologic examinations at the ENT polyclinic. She combines this assignment with an employment as lecturer at VIVES University College. Dr. Kristel Boelaert is the Central Advisory Doctor at the medical policy unit of Kind en Gezin (Child and Family). After her education and experience as a general practitioner, she followed a master’s programme youth health care. For about ten years, she was employed as consultant doctor in Kind en Gezin. Since 2013, she is employed at the medical policy unit of Kind en Gezin where she is responsible for the neonatal hearing screening. Mieke De Bock is physiotherapist at the CAR (centre for ambulatory rehabilitation) Sint-Lievenspoort. She is responsible for motor assessment and therapy in young children (0 – 3 years) and president of the infant team Sint-Lievenspoort. Alexandra De Kegel is paramedic head of the department at the MFC Sint-Lievenspoort. In October 2012, she defended her doctoral thesis entitled ‘Influence of vestibular dysfunction on the motor development in children with a hearing impairment’. She wrote several scientific papers concerning balance tests and motor development in hearing-impaired children. Until 2014, she was employed at the department of Rehabilitation Sciences in the Ghent University as postdoc researcher and in the Ghent University Hospital as scientific employee for which she employed her experience to implement pediatric motor assessment in clinical practice. Pieter Bolle is vice-president at VLOK-CI vzw (Vlaamse Ouders van Kinderen met Cochleaire Implant), an association by and for parents of children who are deaf or hard of hearing. This association organizes informal activities and family days to bring parents, hearing-impaired children and their siblings together. Additionally, informative activities are organized to inform the members about the latest trends and evolutions about hearing loss and cochlear implants. Several times a year, a newsletter is released and lobbying is done to represent the interests of all members. Within the association, Pieter Bolle is mainly responsible for publishing the newsletters and following scientific research and technical evolutions. Lieve Nuytinck is valorisation advisor at Bimetra (Clinical Research Centre UZ Ghent). She is responsible for the support of the utilisation strategy of this project. Cleo Dhondt is a PhD student in Audiology at the department of Head and Skin at the Ghent University. Her doctoral research focuses on the assessment of vestibular and motor function in children with a congenital cytomegalovirus infection. Under supervision of Prof. Dhooge and Prof. Maes, she assisted with the implementation of pediatric vestibular examination in the clinical practice of the ENT department and the Ghent University Hospital.